Reginald T. Smith studied at the Technical College of the City and Guilds of London Institute and subsequently completed an apprenticeship as an engineer with W.G. Armstrong, Mitchell & Co. at Elswick, Lancashire. Later he attended the Durham College of Science and, having obtained a scholarship, entered St John's College, Cambridge. He graduated in 1892 with first class honours in mathematics. For some time he was a demonstrator in the Cavendish Physical Laboratory in Cambridge. In June 1893 he obtained a second class pass in Part II of the Natural Science Tripos and was awarded the degree Master of Arts (MA). 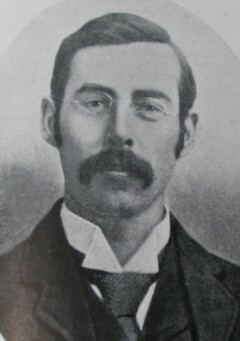 Following the establishment of the first professorship in applied mathematics and experimental physics at the South African College, Cape Town, Smith was appointed to the post in July 1893 and arrived in the Cape Colony in August. The next year the University of the Cape of Good Hope admitted him to the BA degree on the basis of his BA from the University of Cambridge. He participated in designing and planning a physical laboratory for the College and drew up a list of apparatus that was ordered from England. However, he turned out not to be a successful teacher and in February 1894 the College Senate appointed a committee to enquire into his teaching methods. The committee found that he was taking for granted too much previous knowledge in his students and was neglecting individual tuition in favour of lecturing, though he was also hampered by a lack of proper accommodation and apparatus. He never became comfortable at the college and tendered his resignation at the beginning of August 1895, leaving the colony on 27 November. His successor was professor James Holm*. Smith does not appear to have published any papers.